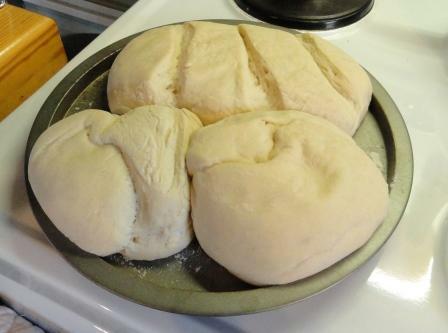 Nothing can beat the smell of fresh dough proving, and then being baked to perfection. I made the entire recipe, but only used half the dough for bread. After the first proving I put the balance of the dough into a Ziploc bag and left it in the fridge. I made bread a week later with the dough and it was perfect! Wow….your bread looks lovely. I have always wanted to make bread but all my attempts result in a laughing stock. But your recipe sounds really great. And the pic is very encouraging…Will try is definitely. no, not a typo, you need 500g bread flour and 500g normal flour for the recipe. Something I love making, but am too often too lazy to do. Nice that you can keep it in the fridge.